Trimline cartridge filters are compact, economical filters designed to effectively filter out suspended solids from your pool. 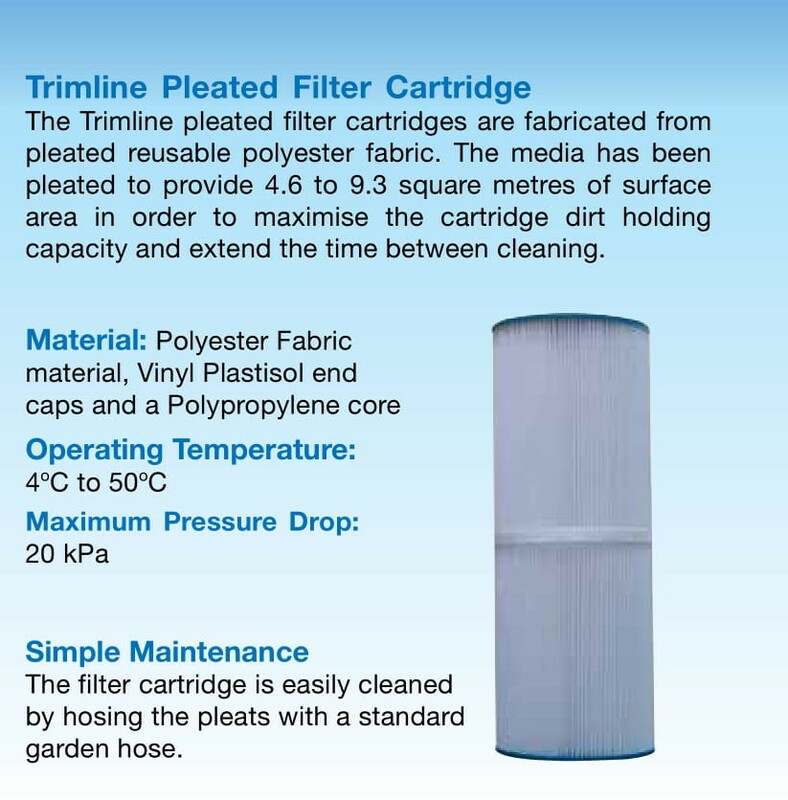 Trimline cartridge filters utilise a specially treated synthetic fabric which is pleated into a cartridge. Cartridge filters are ideal for applications where backwashing may not be practical.